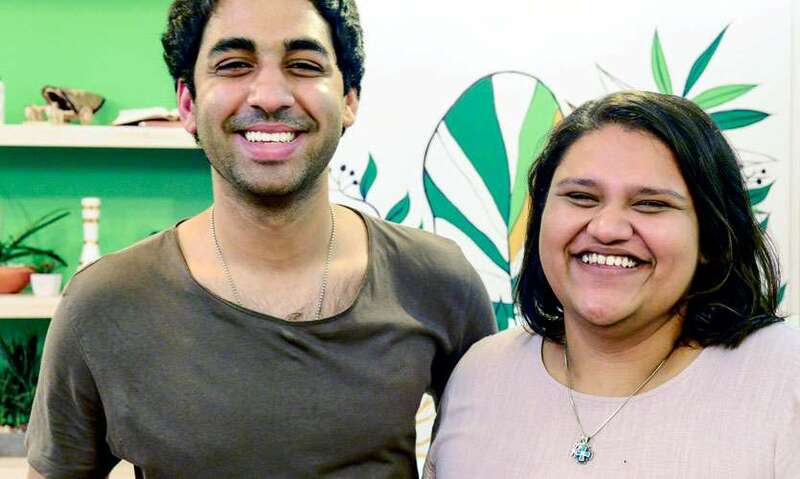 When friends (of over a decade) Anithra Ratnayake and Rahaal Balasuriya decided they wanted to start up a little restaurant serving up Poké Bowls they knew that they had to be completely involved from setting up the menu to running the operation. However, doing things your own way with no experience in the restaurant industry can be a daunting task but they knew this was exactly what they wanted to do. 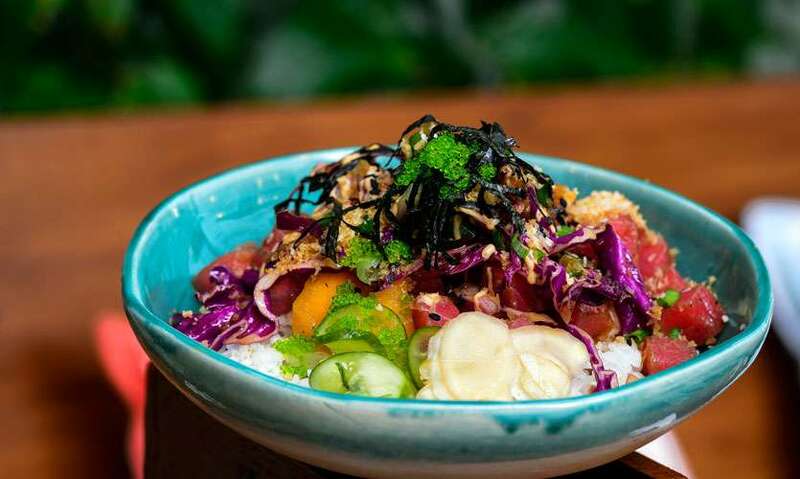 So they set off with a long round of tasting and making poke bowls at home and then coming up with the perfect combinations and this was how Bowl’d came about. After doing a round of pop-ups and a stall at the Good Market they knew the time was just right to make their dream a reality. The food itself is the healthier option to fast food while the ingredients are as fresh as they can get and of the highest quality. 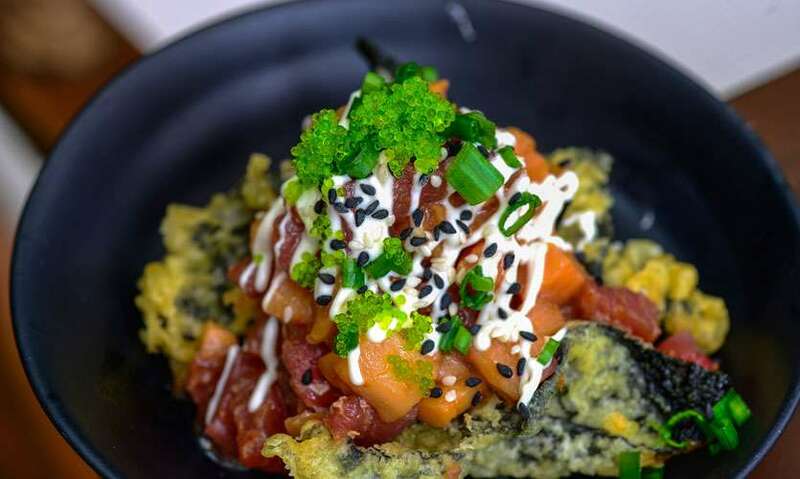 So what are Poké Bowls – The dish has Hawaiian origins and ‘poké’ means ‘to slice’ or ‘cut’ in Hawaiian. 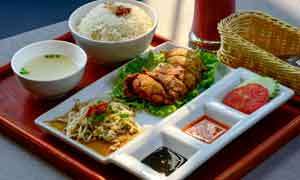 It refers to chunks of raw, marinated fish (usually tuna), tossed over rice and topped with vegetable and umami packed sauces. The airy, laid back feel at the restaurant is ideal for a quick lunch or long drawn dinner with friends. 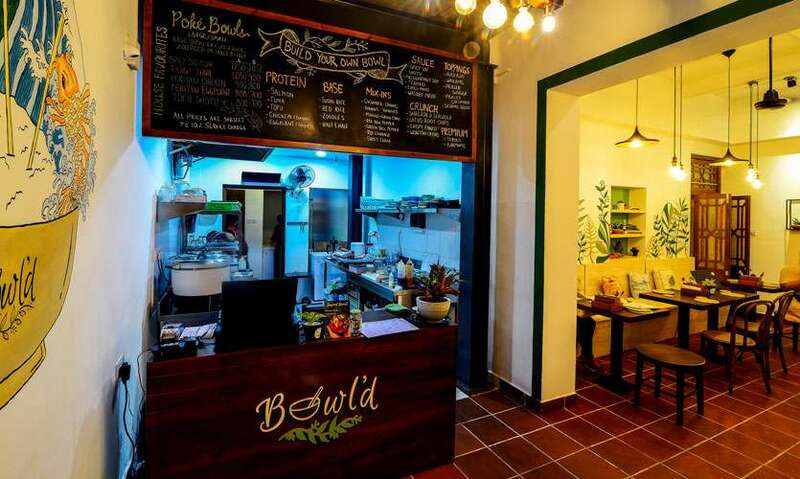 The restaurant is located in a refurbished old house which will soon become a hostel (Island Hostels). Even though the restaurant is located in bustling Colombo it feels as though you are at a cute beach-side restaurant – which is great if you want to, at least for an hour or two escape crazy Colombo! Our pick was easily the Gotukola Limeade (Rs 250) which took us quite by surprise considering the fact that gotukola generally means a salad with freshly grated coconut, tomato and lime or kanda (porridge). This was a fabulous alternative as it was cold and refreshing thanks to the blended fresh gotukola and the perfect balance of sourness courtesy the lime that went into which was then sweetened with kitul treacle. The other drinks that of the Frozen Cucumber Limeade (Rs 250) and the Strawberry Watermelon Limeade (Rs 250) didn’t quite compare for some reason but they were decent never-the-less. 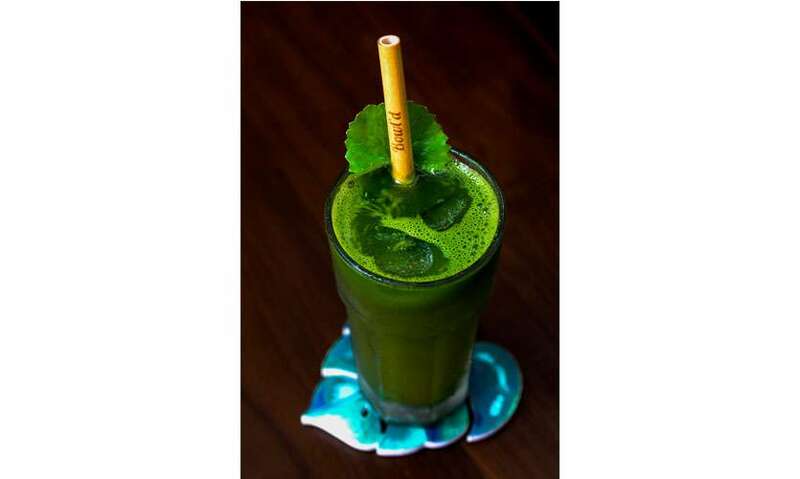 The former is a slush made using frozen cucumber, mint, lime and sweetened ever so subtly with kitul treacle (as are all their drinks as they do not use refined sugars). Remember to slurp up immediately using their bamboo straws, as it gets a little watery as it melts – we recommend a few more squirts of kitul treacle though. 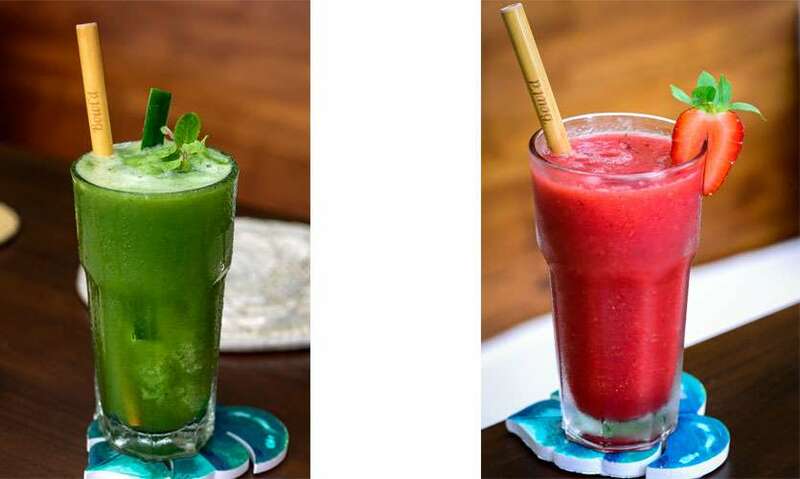 The latter, was made with blended strawberries, watermelon, lime and kitul – this too wasn’t as satisfying as the Gotukola Limeade. What’s not to love about tempura battered seaweed chips topped with little cubes of sashimi salmon and tuna in a spicy soy marinade which is then topped with spring onions, panko, wasabi mayonnaise and tobiko – well we were totally blown away with the little dish that of the Poke Nachos (Rs 750) – the perfect starter. 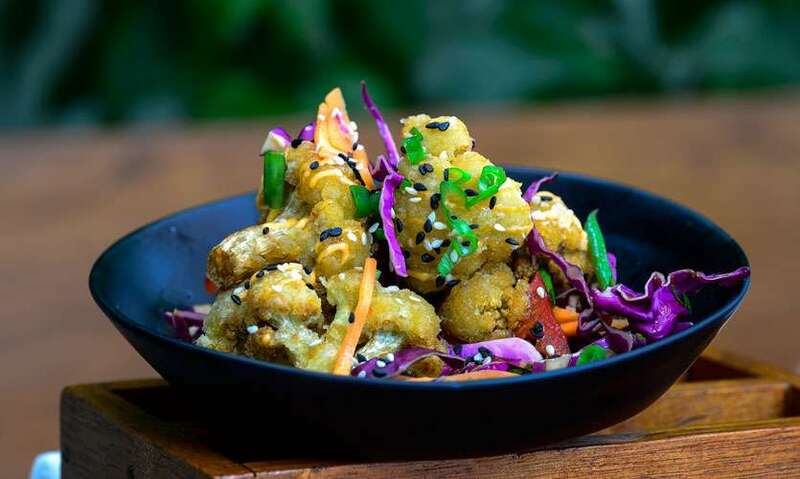 A meatless option is the Cauliflower Karaage (Rs 550). The crisp Japanese fried cauliflower on top of a bed of Asian slaw and chilli mayo was pretty yummy too. One can opt for the following as a base for the main courses, that of white sushi rice, red rice, zoodles (zucchini noodles) or go half and half and then decide on what meat or vegetable you want to top your dish off with. We opted for white sushi rice in both our poké bowls. 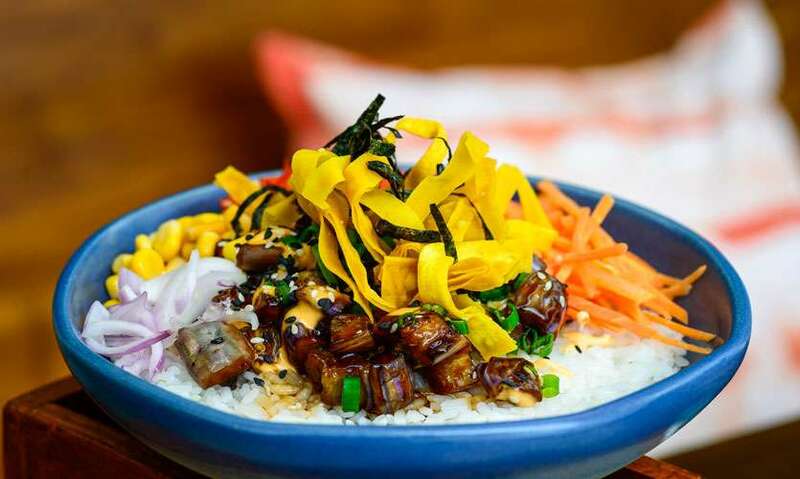 Even if you love your meat you won’t quite miss it if you choose the Teriyaki Eggplant (Rs 800/Rs 700). The flavour-packed teriyaki eggplant along with a side of sweet corn, shredded carrots, freshly chopped onions, red bell peppers and then topped with wonton crisps and chilli mayonnaise was just delicious. 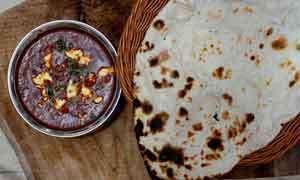 Our pick among the mains was the oh so tropical Tangy Tuna (Rs 1,050/Rs 800). 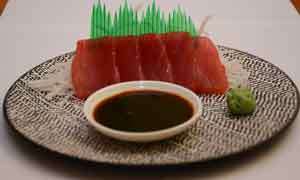 With its combinations of mango and green chillies which enhanced the delicious sashimi tuna drizzled with passion fruit soy sauce, and accompanied with onions, red cabbage, panko, shredded seaweed, chilli mayonnaise and topped with tobiko made for a perfect dish with. 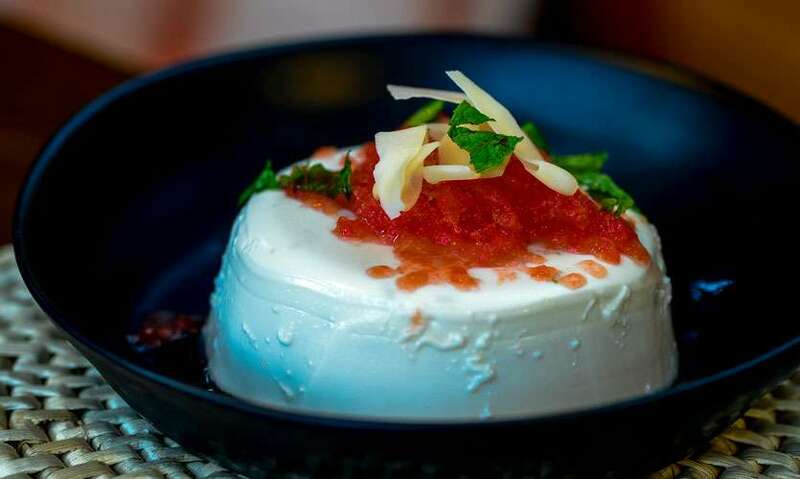 The extremely light yet creamy and delicious Coconut Panna Cotta (Rs 550) was easily our favourite. This dish is finished with watermelon and lime granita and is as beautiful to look at as it is to eat. 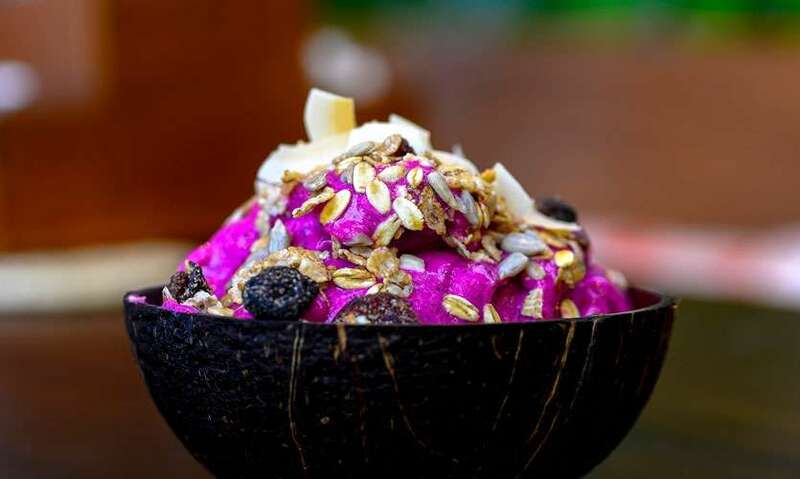 A healthier alternative to ice cream are their Nana Bowls of which the gorgeous Dragon Fruit Nana Bowl (Rs 750) is worth a try. Since pink dragon fruit is seasonal it isn’t always on their menu.